Temba Food Pantry at 14940 Old Colonial Rd. will be closed Thursday January 24th due to icy conditions. We will hold an alternate distribution that day from 4:30-6:30 at our 1308 E. Empire Bloomington location. Please Check this site regularly for inclement weather closure updates. For more information, call 309-808-3742. Temba Food Pantry, a member pantry of the Center For Hope Food Pantry Network, applies biblically based principles to help families and individuals break and avoid cycles of poverty through food distribution, education, and referral networking. The Temba Food Pantry gets its name from the Zulu word meaning hope (themba). Temba offers hope to countless families in the Mclean County area who face food insecurity.Temba Food Pantry is open to walk-ins every Thursday from 4:30 pm-6:30 pm. Applicants will receive a wide variety of perishable and non-perishable items from each of the major food groups. Toiletries and household supplies are distributed as available. Volunteers are needed throughout the week to pick up donations, sort food, pre-pack bags, and assist clients. Donations may be dropped off Monday-Friday between 10:00am and 3:00 pm except on holidays. The Temba-(Hope) Food Pantry is located at 14940 Old Colonial Road, Bloomington, IL. We encourage Outreach visitors and volunteers to always use caution before coming out in conditions of extreme weather such as ice, heavy snow, extreme cold or storm conditions for your safety and for the safety of our staff and volunteers. To find out about program cancellations, late starts or early dismissals please visit this site or call us at 309-808-3742. Great News! Center for Hope Outreach Programs has been recognized as a Community Champion and was recently awarded $500.00 from Constellation energy. The grant will enable us to offer three new classes via our 2nd Helping Workshop series; “Mindful Shopping-A Healthy Approach”; “Gardening for Health”, and Leverage Your Beverage Choice”. Classes will begin in September. Be sure to visit this site and click on 2nd Helping for schedule and registration information. 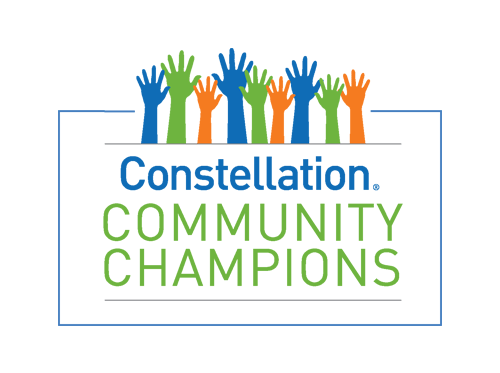 We are truly grateful for community partners like Constellation! Fresh Mornings are special produce distributions held every Monday, Tuesday, Thursday, and Friday from 10:00am -Noon. Come to 13o8 E. Empire St. in Bloomington and choose from a variety of free fruits, vegetables, pastries and breads. Supplies are distributed as available. Free Blood Pressure Screenings: Every 3rd Tuesday at the Center for Hope Outreach Programs -1308 E. Empire St Bloomington IL.